Ron Chenier & Associates Inc.
Building your brand doesn't take millions... it takes imagination! Born in Cornwall, Ontario, Canada, Ron is a Senior Advisor, Marketing and Communications Strategist, a commercial Real Estate Developer, a best-selling author “How to Become and Entrepreneurial Genius”, a former College Teaching Master with the St-Lawrence College in Cornwall, former VP of Marketing in Pro-Sports working with NHL’s Quebec Nordiques organization, and the founder of “Pro-Autofinders” an innovative automobile consignment program that was Voted #1 by Entrepreneur Magazine Franchise 500 amongst 1,100 companies world-wide in 1990. Fluently bilingual in French and English, he has been the subject of many featured interviews in publications such as The New York Times, The Montreal Gazette, Automotive News, New Business Opportunities, Sales Force Magazine, and interviewed on CBC, TSN, TQS, RDS amongst other TV and radio stations. His international client base include, Kerr Honda New Zealand, The Royal Bank of Canada, Special Olympics Canada / US, The Law Enforcement Torch Run, to name but a few. Ron’s been a keynote speaker for the Professional Institute of the Public Service of Canada (PIPSC), he’s lectured at The University of Western Ontario in London and he continues to address audiences for various organizations worldwide on the subjects of… strategic growth, corporate storytelling - breakthrough communications, innovative fundraising, sales, marketing, advertising, and personal motivational strategies. He is the founder of Cops and Rockers.com – www.copsandrockers.com which was developed based on his long standing association with the Law Enforcement Torch Run – Special Olympics fund-raising activities across Canada and the US. The new program unites local Police officers with students who in turn use pledge sheets to raise funds for a local cause of their choice. Ron underwrites all costs associated with bringing a MuchMusic Video Dance Party to the local schools while 100% of the funds raised stay locally... over $354,000.00 has now been raised from the program. Ron credits multi-millionaire William E. (Bill) Bailey (founder of Bestline and a mentor to Jim Rohn and Les Brown, etc.) as his most influential mentor. Together they have addressed audiences across Canada and the US. They’ve recoded various video and audio programs together. 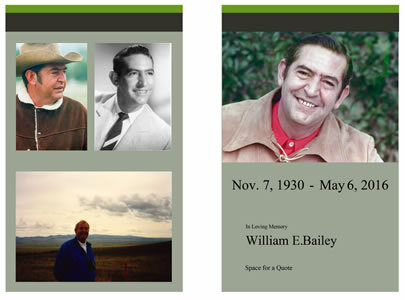 In 2000, he released his first book “How to Become an Entrepreneurial Genius”, dedicated to Mr. Bailey. 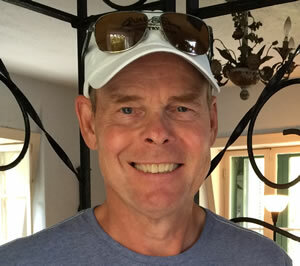 In January of 2008, he signed on as Hospice Cornwall’s Fundraising Campaign Director and Communications Chair. The $4.2M capital campaign was completed and the shovel went in the ground by year’s end. The facility officially opened in September 2009. An ultra-marathon distance runner, he lives on an Island overlooking Montreal Island with his wife Charlene. They have two sons, Scott (Nicky) and Chad (Sophie), and four grand children, Carsyn, Masson, Jade and Jack. NOTE: we are currently developing Mr. Bailey’s legacy website click here to visit out Facebook page now or e-mail ron@ronchenier.com to be notified of the launch. In this fireside chat, recorded live at Mr. Bailey’s ranch in Kentucky, we begin our journey as Mr. Bailey recalls the “Secrets to Success” he stumbled upon while creating a Multi-Level-Marketing empire, starting with no sales at all, and building, within 10 years, to sales of over $62,000,000 per month, with factories in ten countries. With only five Multi-Level-Marketing companies at that time, Mr. Bailey is often referred to, and respected, as “the grandfather of them all”. In this session you will learn the wisdom of the ages as distilled and experienced by a self-made millionaire who was raised in the hills of Kentucky and developed a thought process he calls a “Success Mindset”. You will hear about the awakening of a vision and the automatic, almost magical rewards associated with that vision. Also discussed is the principle of cause and effect or action reaction, and how that principle reacts the same emotionally and intellectually as it does in the physical world. Fear stops most well intentioned people “dead in their tracks!” In this, perhaps the most valuable session of the course, you will learn the simple step-by-step process you can use instantly to completely eliminate “paralyzing” fear and embrace change! “You’re not born with fear. All fear is learned fear.” This session will teach you the value of a mind free of fear, as your mind begins to soar as it was divinely designed to do! Spirituality, perhaps today’s most talked about subject, is discussed here, not from a religious or church connotation, but from the basis that we are all part of a creative force that created the entire universe. What is spirit? Are you the sum total of the choices you have made? For the first time ever publicly, Mr. Bailey shares what he calls “The Laws of Discovery”. The full understanding and implementation of these laws is the fundamental secret philosophy of the “Millionaire’s Mind-Set”. How do you turn a-dollar-a day into a 5 Million-Dollar nest egg? Summarized here are many of the concepts you heard during other lessons in the course; Mr. Bailey points out that money is a result not a cause. It is a result of your character in action. Money simply makes you more of what ever it is you already are. With these strategies, simplified and applied, you will never again worry about money! Without them, you will always worry about money. Ron Chénier's "How to Become an Entrepreneurial Genius!" is an inspiring, yet practical approach to entrepreneurship. The writer hits on the key strategies and reinforces all of those ever important, yet sometimes forgotten, basics for this breakthrough profession of the future. I believe this book will be of huge benefit to fledgling business people and will also re-ignite the "fire in the belly" of established entrepreneurs." "On the Move... How to Succeed andSurvive as an Entrepreneur" 1998 "Master Entrepreneur of the Year, Atlantic Region"
"Dear Ron, I recently attended a three-day Executive MBA marketing seminar, and in tandem had the opportunity to preview your book! We studied strategic marketing including, demographics, data segmentation, customer loyalty, focussing on various "buying propositions". However, your book captured the essence of success in a refreshing read. To the point, "How to Become an Entrepreneurial Genius!" is a must read road map to success for the entrepreneur and entrepreneurial minded!" - Danny Lemaich, President 4 Pride Inc.
"How to Become an Entrepreneurial Genius!" is a must read! It is pure, simple, and highly effective... Ron Chénier makes people pay attention." - Denis M. Frappier, Executive Vice-President, AMJ Campbell "Fascinating... While most people look for complicated and miraculous solutions, Ron teaches simple and effective how-to common sense! If you're serious about success, this brilliant "down-to-earth" step-by-step book is for you!" "The secret to success in your personal life or any organization is the result of using simple and measurable strategies. Ron Chénier knows why and how. Read How to Become an Entrepreneurial Genius! and you'll know too." A reviewer, passionate about successful know how, June 26, 2001, - 5/5 If you only read one book this summer, make it this one. If better and more effective Marketing, Motivational, Sales and Advertising strategies are what you're after, then this slender easy to read book is choke full of immediately useful real life examples. Actually three books in one, the author cleverly included two world famous classics 'Acres of Diamonds' by Russell H. Conwell and 'Obvious Adams' by Robert R. Updegraff. Pick it up and I dare you to put it down! Most of us work hard to achieve our goals, which in most cases simply means, "making ends meet". Along the way we manage to acquire a few nice things, think this is the nature of life, and feel pretty content with our lot. However mundane this may seem, it's a way of thinking, a life philosophy or paradigm that we unquestionably accept. But, what if there's actually more. How would we feel if we learned we could achieve and have infinitely more, just by changing the way we think? Ron Chenier's How to Become an Entrepreneurial Genius! is a funny, engaging, personable, challenging and upbeat guide to achieving financial and personal objectives. One of the greatest hurdles to overcome is the self-punitive and extremely constrictive view that money is BAD. Chenier brilliantly and succinctly debunks that tired old chestnut, by telling us, "First of all, money is nothing more than a magnifying glass. Money doesn't change you, your philosophy of life does! Money will simply make you more of whatever you already are." Nothing is achieved in a vacuum. Success is NOT a solitary process. We need to interact with others constantly in a way that is mutually beneficial. "Have you ever seen a successful hermit?" Chenier asks us. Success is a social phenomenon. As a teacher once told me, "You know how to work hard Rich, now you have to learn to work smart." Sage advice. Ron Chenier's exceptional book is the perfect manual for just that advice. The results are abundant." Do you feel like your life is frittered away by detail? By the time you've put out four "for sale" signs, copied the home inspection report six times, and picked up Junior at soccer practice, is it any wonder you don't have the energy left to do any long-range planning to improve your market share? What you need to do is simplify. There is genius in simplicity, claims Ron Chénier. His book, How to Become an Entrepreneurial Genius! Your Blueprint to More Money, More Respect and More Freedom is a guide to reducing selling and marketing to its basic elements. Writing at the point where feel-good and how-to intersect, the author packs lots of sales tips, motivational advice, and strategic insights into a slender volume. At the heart of the book is the idea that you are nothing without goals. After all, as Chénier points out, if you take an idiot and motivate him, all you have is a motivated idiot. The author teaches you how to design, then execute your goals by developing a plan on which to base your personal and financial success. Real estate professionals should find Chapter 3, "How to Maximize Your Growth," especially helpful in improving selling skills. Chénier points out that some people mistakenly equate salesmanship with pressuring or manipulating customers. In fact, selling comes down to solving problems, he says. Excellent service, not real estate, is your real product. A key component of this service is developing a solution specifically tailored to your client's needs. For example, you should now know such issues as what type of house buyers can afford, any special financial needs they might have, and how quickly they need to relocate. But even sound research requires a good presentation. Chénier reminds you how your wording can subconsciously influence your clients. For example, he says, people hate to talk about "buying" but love to talk about "owning". Stressing phrases such as "investment' vs. "cost", or "Oking an agreement" vs. "signing a contract" creates a lower-pressure atmosphere for your presentation. The book also contains quite a bit of feel-good material, including reprints of inspirational pieces from other authors. One story, "Obvious Adams", by Robert R. Updegraff, focuses on a marketing "genius", whose solutions always seemed so obvious to others& once he's thought of them. Chénier also provides scores of motivational quotes that can help get you through those tough selling periods. Overall, the book provides a crash course in the essentials of selling. Much of this information is common-sensical, but useful, such as the author's observation that the most important step in gaining instant respect is to become genuinely interested in your clients. If you're looking for a one-book source to remind you about selling basics, you've come to the right place. How To Become an Entrepreneurial Genius! Develop Your Blueprint to More Money, More Respect and More Freedom WITH RON LIVE! All required expenses and taxes should be added to the above fees.